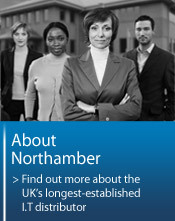 Northamber has over 100 strategic alliances with the industry's leading manufacturers and our comprehensive range now encompasses Storage, Security, Laptop and Desktop PCs, Printers, Software, Networking and Components, enabling us to provide complete solutions for the entire information technology and communications SME/SMB market. One of the industry's most experienced sales floor with some staff having over 20 years loyal experience advising customers. 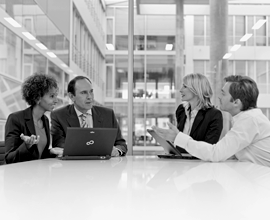 All our customers are assigned dedicated account managers and a 'no voicemail' policy ensures there's always someone to talk to. Passionate and knowledgeable product managers who help provide peace of mind you're buying the best equipment for your needs and help vendors grow their brand as well as providing a dedicated point of contact. 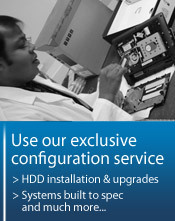 At our Configuration Centre our qualified engineers can build or upgrade Desktop PCs or Notebooks to your bespoke specifications before the order is shipped to you. Over 100,000 square foot, state-of-the-art warehouse with more than 7,500 pallet bays and 13 loading bays - our logistics team delivers 98.9% of orders by the next working day. We offer credit services designed to work for you. We will explore every available avenue to help you obtain the right credit line for your business. Whether you need credit for a large corporate deal or a small launch, we have the credit solution that is right for you. Our training and conference rooms are available for hire at our Weybridge facility. Situated next to the historic Brooklands racing circuit and Mercedes Benz World, the centre is available for our customers and vendors. Northamber vendors and customers enjoy access to our dedicated in-house marketing team helping them get maximum exposure for their products via our relationships with leading industry publications both online and offline. Read what some of our customers & partners have to say about us on our testimonials page, click here.